Alberta Transmission Service is a locally owned and operated auto repairs garage that has been proudly serving Edmonton and surrounding areas since 1992. When you are in need of auto repairs in Edmonton, our experts are the right choice for you. For over 25 years, we have helped drivers stay safe on the road by providing long-lasting solutions at competitive prices. Our experts at Alberta Transmission Service work hard to take care of all your driving needs in an efficient manner. 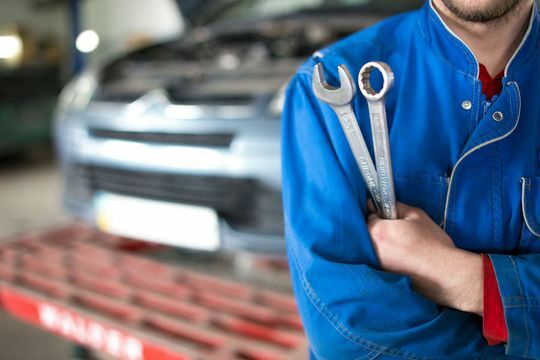 We offer a complete range of auto repair services to our fleet customers in Edmonton and surrounding areas. From an engine tune-up and extensive brake work to complete troubleshooting, we cover it all. We have the experience and knowledge in handling all makes and models of foreign and domestic vehicles. Our professionals use the latest automotive repair technology and diagnostic tools available in the industry to provide you with high-quality auto repair services. Also, we carry excellent warranties and offer outstanding auto repairs and exceptional customer service. We provide the right products and services based on your vehicle’s requirements and ensure a complete customer satisfaction. If you need any help, reach out to Kristen. “Ten hours from home, visiting relatives with a new to me used vehicle that decided to randomly get stuck in 2nd gear. A google search brought me to Alberta Transmission Service. I am very very pleased with their knowledge, expertise, willingness to locate parts, and ability to get my transmission repaired in the same day.